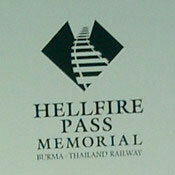 The Hellfire Pass Museum is co-sponsored by the Thai and Australian governments to commemorate the suffering of those Prisoners of War involved in the construction of the railway connecting Thailand and Burma during World War II. You can walk down into Konyu Cutting itself and along the old track. 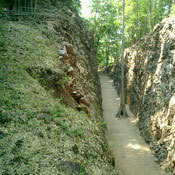 Hellfire Pass or Konyu Cutting was a particularly difficult section of the line to build, not only because it was the largest rock cutting on the railway, but also because of its remoteness and the lack of proper construction tools during building. 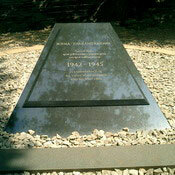 The Australian, British, Dutch and other allied Prisoners of War were required to work 18 hours a day to complete the cutting and many died from cholera, dysentery, starvation, and exhaustion during the six weeks it took to complete. A new walkway has recently completed down into the cutting which has made things a lot easier. You can say a quiet word of thanks to the builders on the way down. 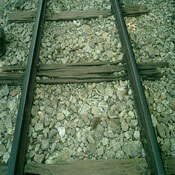 However, you'll still need decent shoes because the rail bed is stony and the rocks are hard on your feet. 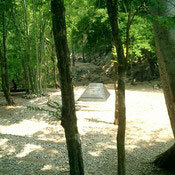 From Konyu Cutting, the walking trail follows the alignment of the original Burma-Thailand railway for approximately four kilometres from Hellfire Pass to beyond Compressor Cutting.